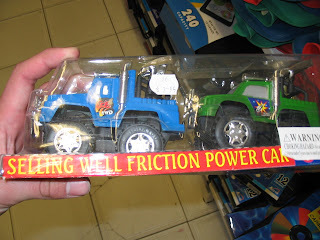 Beaterblog: Beaterblog Featured Product - "Selling Well Friction Power Car"
Beaterblog Featured Product - "Selling Well Friction Power Car"
Introducing the all new "Selling Well Friction Power Car". This new product, or "All new enter", from the "21 Century" will be sure "To insure a like new appearance in definitely", whatever that could possibly mean. 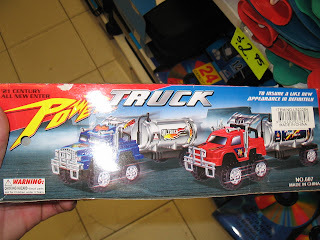 What is clear, however, is that the Chinese toy manufacturers do not have a firm grasp on the line between pickup and semi truck.